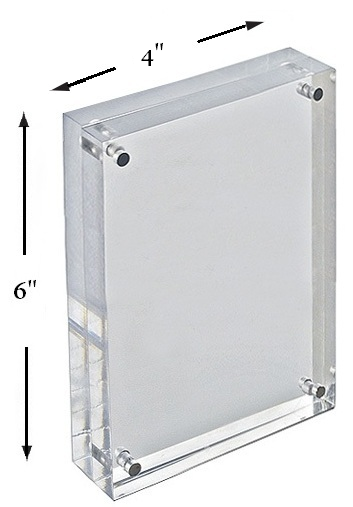 Home > Signage > Clear Acrylic Block Sign Holder / Frame - 4in. x 6in. 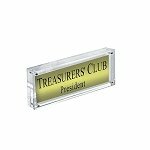 Clear Acrylic Block Sign Holder / Frame - 4in. x 6in. Searching for a stylish way to make your business or merchandise pop? 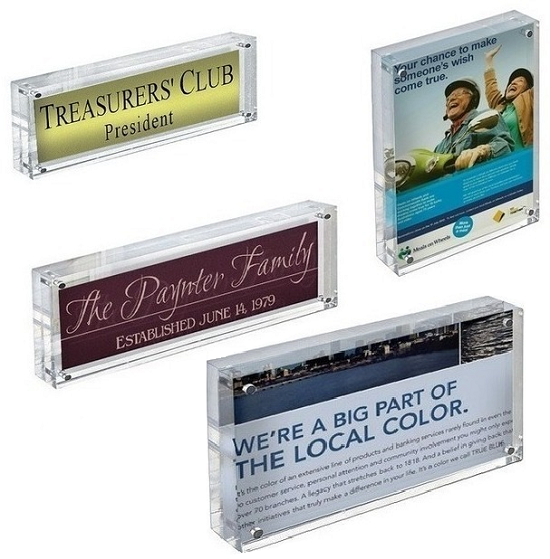 No need to get your glasses, make images, business fliers, and photo's come to life and stand out beyond all others with our four by six-inch Clear Acrylic Block Sign Holder and Frame. 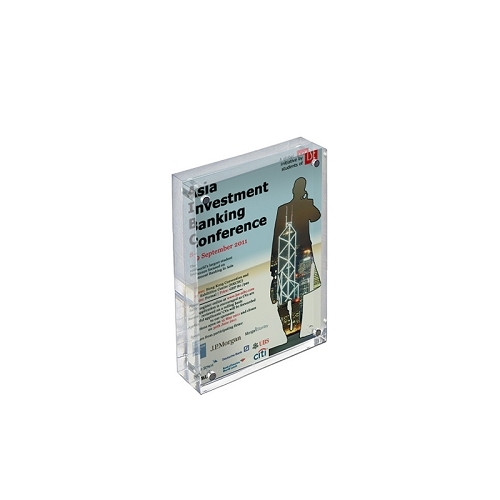 The frames made of acrylic is ideal for marketing your establishment when used as promoting real estate properties, displaying fliers for upcoming events, or after-hours menu's and more. Images are held tightly in place with corner magnets that attach to each other between two 0.75" pieces of clear acrylic. Standard size pictures are a natural fit in this clear photograph trimming. Order several to create a stunning exhibit at a special event or birthday party. Got larger photos you need to display? 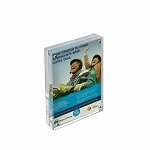 Come and see our five by seven-inch clear block frame that is available for a reasonable wholesale price. Add a little professionalism and sophistication to your corporations' marketing tools and advertisements frames wholesale. 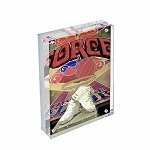 Order your acrylic sign holder or frames for photos now! Overall Dimensions: 4" x 6"
Block Sign Holder / Frame - Clear Acrylic - 3"x8"
Sign Holder / Frame - Acrylic Block - 8.5" x 5.5"